The woman was called to testify against the father of her child, who was charged with domestic battery and aggravated assault, reports AP. Police say the man choked her and threatened her with a kitchen knife. Since the victim didn’t show, she was then ordered to appear in front of Judge Collins and explain her absence. “Your honor, I’m very sorry for not attending the last one,” the 27-year-old woman said. “I’ve been dealing with depression and just a lot personally since this happened. My anxiety is like, this is everyday for me.” Judge Collins continued to chastise the woman for disobeying the court order. “Is it true what you told the police, is it true? Why wouldn’t you come to testify?” she asked. The victim explained how she had gone to a domestic abuse class and asked for the charges to be dropped. “I’m trying to move on with my life. I’m living at my parents’ house. I had to sell everything I owned. I’m just not in a good place right now,” she said through tears. The woman, who asked for her identity to be hidden, spoke publicly for the first time since the court hearing. “I knew I did wrong when I missed the trial, but I wasn’t expecting her reaction,” she told NBC News. What’s even more troubling is how this judge’s decision has made the victim hesitant to speak out if she were in this situation again. “I think after everything that happened, I would most likely not call the police at all,” she said. 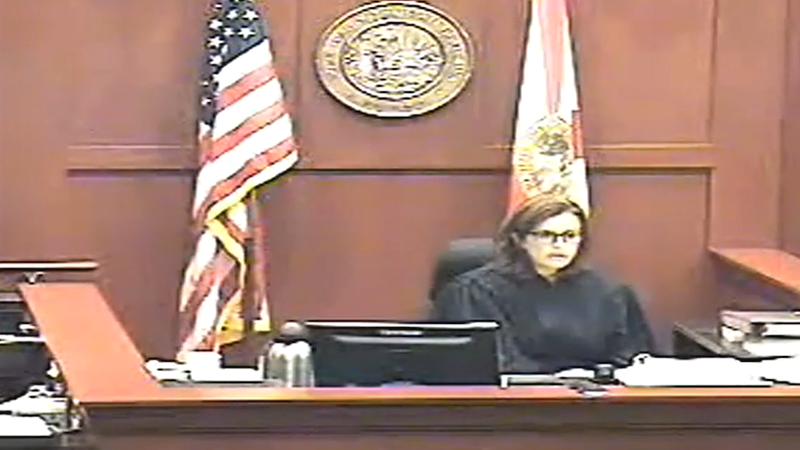 Judge Collins, who was appointed to the Seminole County Court by Jeb Bush in 2005, has received negative reactions on The Robing Room, an anonymous review site for judges, from people who appeared before her in the past. More reviews have been published since this video was released.